You may receive updates from SOA Watch, the sponsor of this letter campaign. Over a year and a half after Indigenous and social movement leader Berta Caceres was brutally murdered in Honduras, the intellectual authors have yet to be brought to justice. Furthermore, the repression against environmental, Indigenous, social, student and other activists continues, as does US financing of the Honduran military and security forces. 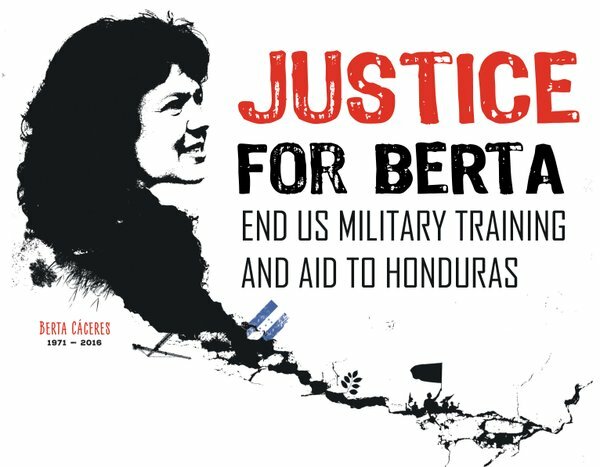 Call on your member of Congress to co-sponsor HR 1299, the Berta Caceres Human Rights in Honduras Act, which would suspend US military and security aid to Honduras.